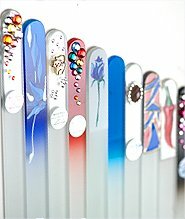 Mont Bleu crystal glass nail files, beauty, gifts and private label products manufacturer based in Czech Republic. 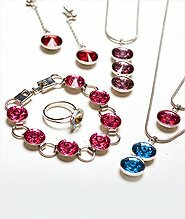 Luxury crystal glass nail files, jewellry, bijoux, beauty accessories, gifts and souvenirs. 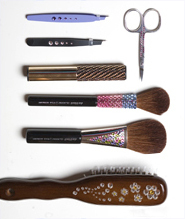 The Mont Bleu company, one of the world's top suppliers of crystal glass nail files. Made in our factory based in Czech Republic, our crystal glass nail files bring affordable luxury of using perfect nail care tool every day, without need to buy another one. Build on decoration only for crystal glass nail files, Mont Bleu decided to expand to other fields of everyday luxury and beauty. 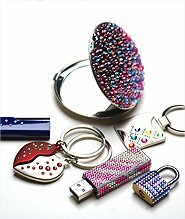 Crystal glass nail files, jewellry, bijoux, beauty tools, gifts and souvenirs hand decorated with Swarovski crystals (CRYSTALLIZED™ – Swarovski Elements). Look through our website for more photos and information, and contact us if you are interested in cooperating with us.